​of you would have questions about as well. ​Q. 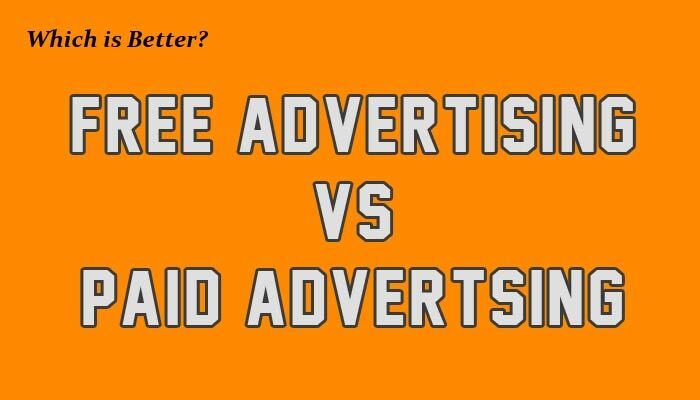 Which is better… free advertising or paid advertising? ​2. Can be duplicated by anyone at anytime. ​3. Grows over time (if you are consistent). ​3. Easy to scale up. how much ​money to ​spend on paid ads. ​very well for me and my business. ​Connect with me on facebook! 2 Comments on "Free Advertising vs Paid Advertising?" There is just so much conflicting advice about free v paid advertising. Means the likes of me are totally confused. Hey Richard… You’re right, there is a lot of conflicting advice out there. That’s why I lean toward using both free and paid traffic. Of course I test and track everything so I know what is working and what is just a waste of time/money. In the end, I find that it really comes down to finding the right offer for each traffic source.